The SVGA cable with audio is the ideal solution to connecting audio to monitors that have built in speakers or work spaces with speakers in close proximity to the monitor. 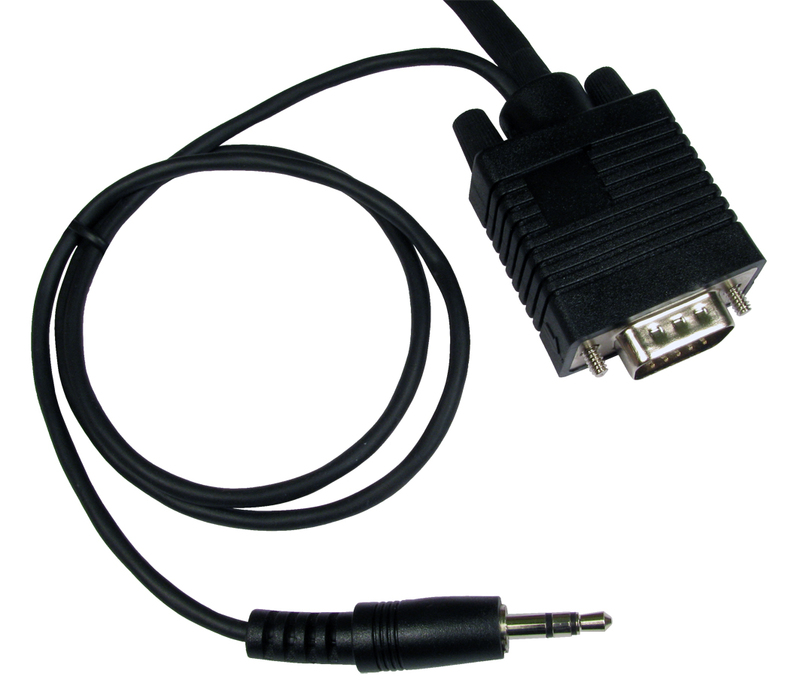 This cable can also be used for equipment that uses an SVGA + 3.5mm stereo cable. Connect one VGA connector to your computer and a 3.5mm stereo, connect the other VGA connector and 3.5mm to your monitor with speakers. The 3.5mm stereo measures 60cm, giving you enough cable to connect your computers sound source. This product was added to our catalog on Monday 01 July, 2013.